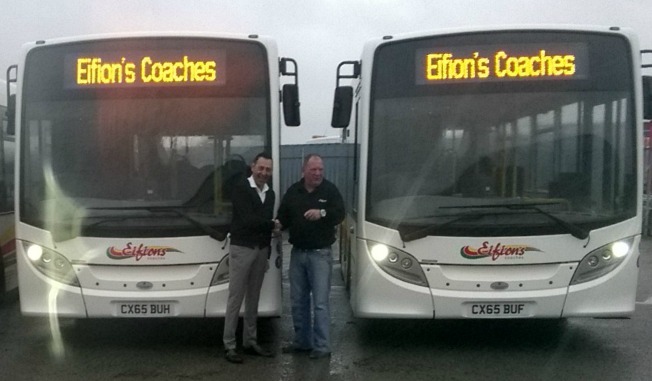 Eifions Coaches Ltd are a well established and respected operator based on Anglesey in North Wales. The company undertakes a variety of private hire, contracted school services and bus service work. Managing Director Eifion Humphreys recently secured three new service contracts with Anglesey County Council that are guaranteed for a minimum three year period. As result, Eifion approached ADL Plaxton for the supply of three new ADL Enviro 200 8.9M low-floor service buses. Mistral Asset Finance (MAF) has a well-established relationship with Eifion and we were asked to secure a suitable funding package. Paul Ricci, Regional Sales Manager for MAF, arranged the facility within one week to ensure the buses were ready to start the contracts. Eifion commented: “Mistral Asset Finance has looked after my finance requirements over the last five years and I had no hesitation in asking for their assistance. If you’re thinking about finance, contact the Mistral Asset Finance team here to discuss your options.